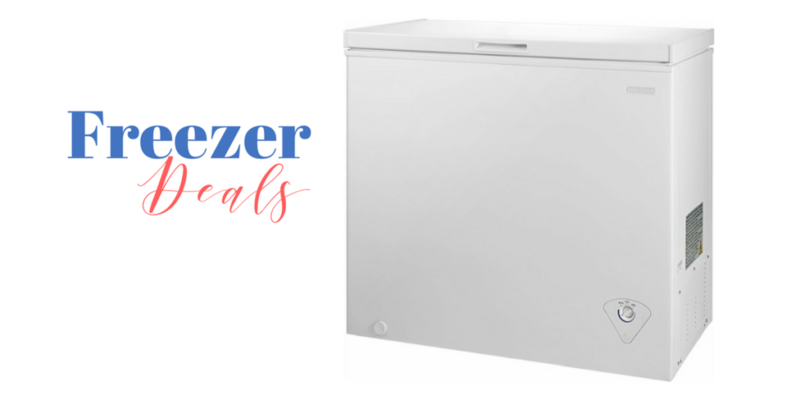 This week at Home Depot you can get a 6.9 cubic ft Magic Chef Freezer chest freezer for $168 (reg. $199). You’ll need to pick up at your local store for the best deal, but they can deliver as well (for a fee). There are only a few times I would say that spending a little money can save you a lot of money in the long run. Buying a freezer is one of those times. Being able to buy meat in bulk saves us over 50% just on meat plus being able to stock up on in season produce and fruit (and a few extra cartons of ice cream).